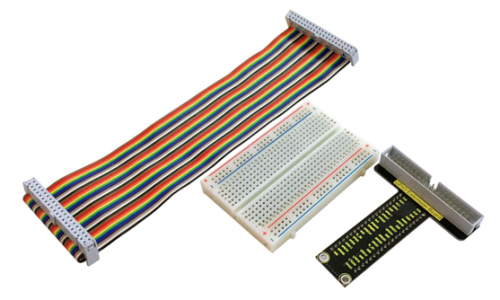 This kit is designed for you to connect to external devices,including T-type shield, 40pin ribbon cable, 400-pinpoint breadboard, compatible with Raspberry Pi A+/B+/3 B. 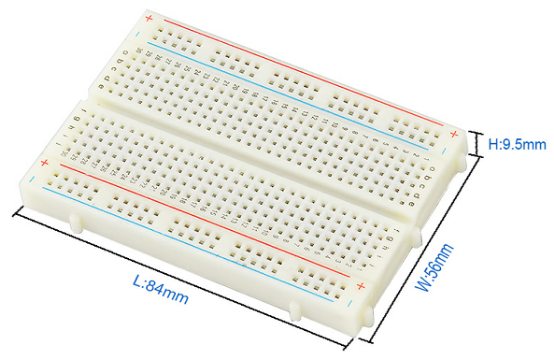 This is a white solderless breadboard. It has 2 power buses, 10 columns, and 30 rows - a total of 400 tie in points. 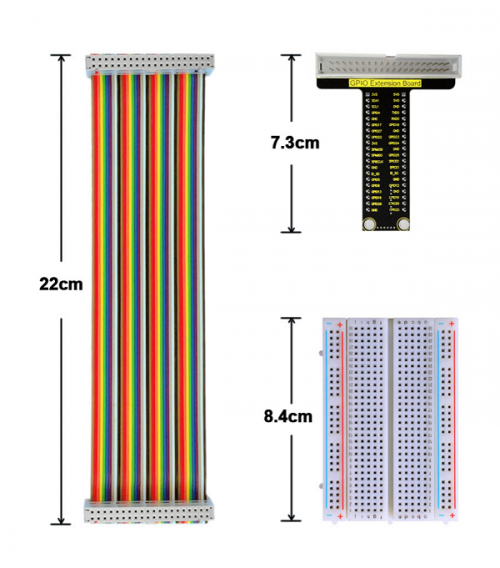 This half size breadboard is good for small projects. It has a standard double-strip in the middle and two power rails on both sides. This board also has a self-adhesive on the back. 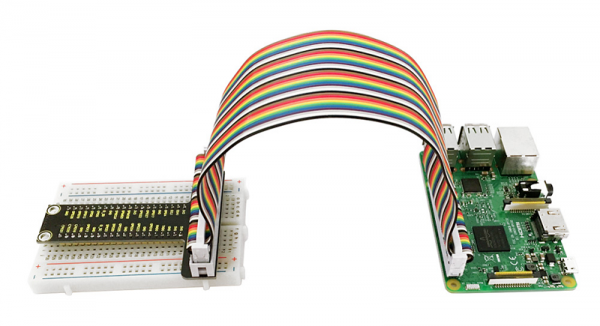 This 40pin ribbon cable is specially designed for Raspberry Pi. 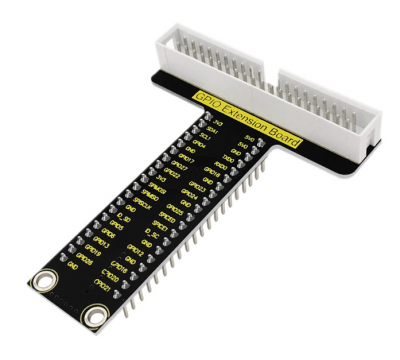 Its gold-plating pinpoints are compatible with GPIO ports.